Looking for a little inspiration? Follow these photographers on Instagram. Scrolling through Instagram has become routine for many people. You wake up, brush your teeth, and check out the fun photos your friends have posted. The app also serves as a great platform for journalists, particularly photojournalists. 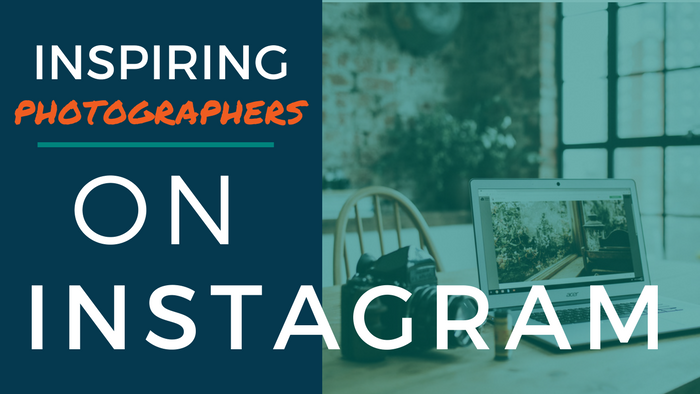 Photographers can use Instagram to help get their name out there and follow other photographers and artists. Here are some of the ones we dug into. They make it look, you know, so easy. Steve McCurry often is credited with taking “the world’s most famous photograph,” a portrait of an Afghan girl. His Instagram account serves as a historical account of some of his best photographs during his more than 30 years of photographing around the world. Holy week procession, Antigua, Guatemala, 2017. Barbara Davidson is an award-winning photojournalist best known for her work photographing victims of gang violence in Los Angeles. Her recent work documents her travels around the world, most recently time spent in Russia. Pete Souza was Chief Official White House Photographer under presidents Ronald Reagan and Barack Obama. Souza’s Instagram account gives viewers a unique look at everything from quiet to iconic moments during Obama’s presidency. Listening to the National Anthem at the annual Easter Egg Roll. They both knew the words. Known as a lighting guru to the photography community, Joe McNally’s Instagram account displays his latest work and often includes a caption explaining how he achieved the desired lighting for the photograph. His account mostly features portraits. Peter Lindbergh’s collection mostly consists of black and white portraits of celebrities. His recent work includes photographs of Michael Caine and Naomi Campbell. Anthony Vence is a Customer Content Specialist at PR Newswire. He contributes to @PRNmedia and previously worked in the newspaper industry as a news and sports editor. He also works as a freelance photographer. Looking for inspiration? Follow these 5 photographers right now on Instagram.